Last week, when spending a few days in the capital city, I dragged my poor long suffering wife to the Doctor Who Experience at Olympia 2. Arriving at the centre, we spent a little while in the little shop (I love a little shop) checking out the masses of merchandise on offer, including action figures, character building micro figures (wannabe Lego), mugs, T shirts, umbrellas, DVDs and much, much more. After going through the entrance to the experience, there were a number of props and costumes on show for you to admire as you queue to get into the exhibit proper. I will avoid going in to too much detail about the interactive experience, as I believe that it would be much more fun to go into it completely spoiler free. I will though say that I loved the way that it unfolded, and they've obviously gone to a lot of effort to structure the experience to make it feel as though you are walking through your own adventure with the Doctor. Once you have walked through the experience itself there are still plenty of interesting things to look at; there is an interactive mock up of the radiophonic workshop complete with headphones and giant slider switches allowing you to listen to Delia Derbyshire's wonderful interpretation of Ron Grainer's theme tune, you can watch a BBC documentary about Delia's career, and the chance to add sound effects to the spitfire dogfight from Victory Of The Daleks. There is a chance for you to have your photo taken sitting in the Pandorica, thanks to the miracle of green screen technology (I'm sure Barry Letts would have approved!). There is a neat assembly line of Daleks, showing how they have changed and developed over the years. 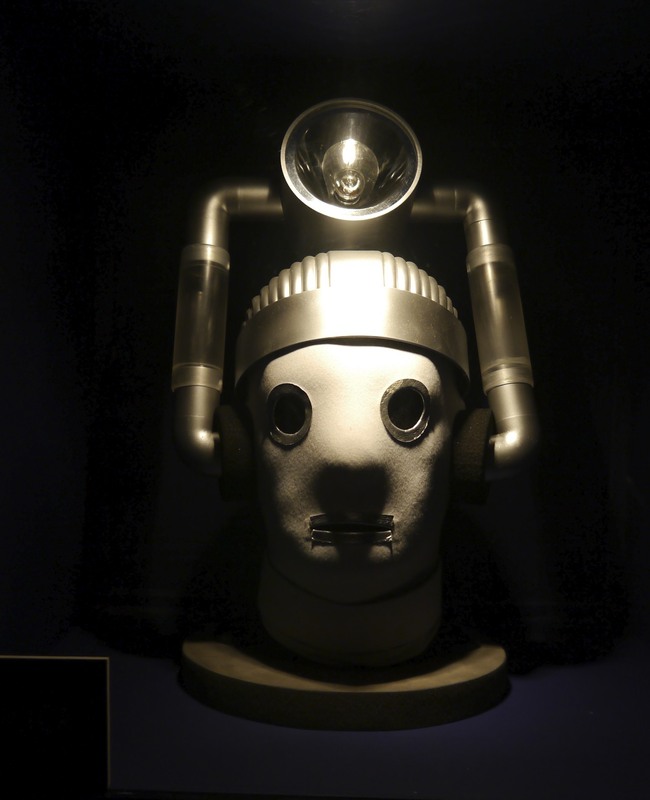 The Cybermen get similar treatment, albeit, through a series of disembodied heads. Probably the most startlingly obvious change through development is that of the Sontarans, the versions from The Time Warrior and The Two Doctors positively tower over the little chap featured in the most recent series! Also on show are Ice Warriors, Silents, Timelords, Sycorax, Davros, Silurians, Strawjacks, Pig Slaves, The Face Of Boe etc. 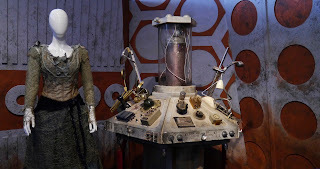 You get to have a close look at the costumes worn by the eleven incarnations of the Doctor, I would post a picture of the sixth Doctor's costume, but I fear that it might cause your monitor to explode! But for me, after the initial experience part of the exhibition, the best part was the section dedicated to the Doctor's most faithful companion, the TARDIS. 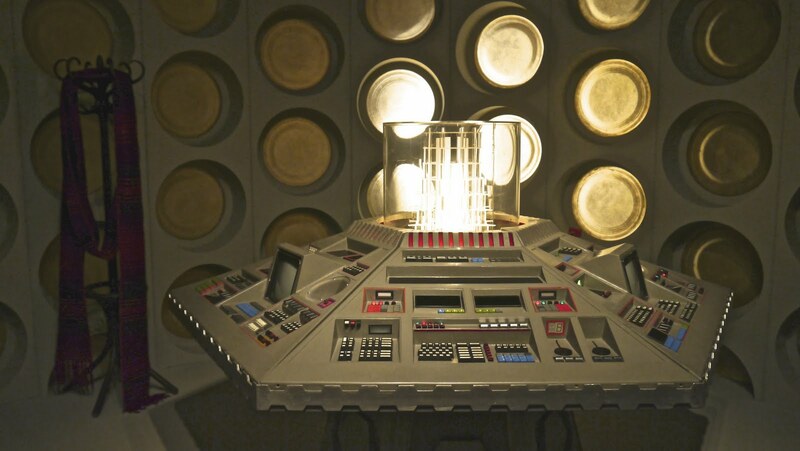 There are information points chronicling how the design of the TARDIS has changed over the years since the original design back in 1963. 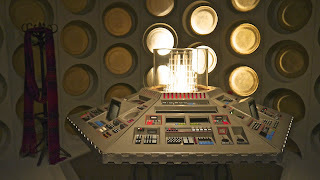 There are also full size replicas of the console room used in the series from 2005 to 2010 and the console used from The Five Doctors in 1983 through to the end of the original run of programmes in 1989. And to keep right up to date with series six, there is the junkyard TARDIS seen in The Doctor's Wife. There are also two police box props to see, the one used on Matt Smith's debut series and one of the props used in the original run. Also on display were some smaller items such as the sonic screwdrivers used by the 9th and 10th Doctors and the one used by the 11th. There was the machine used in Vincent And The Doctor used to track down the invisible alien, and a variety of TARDIS keys. If you book your tickets online you can save money, or if you're not on a budget there are a few different packages available including souvenirs in the overall price. If you are in London and you are a fan of the show, then there really is no excuse, if you don't go you will really regret it.